Joseph Smith Important dates in the life of Joseph Smith. Joseph Smith was the Mormon prophet. He was the founder of the Mormon Church. Joseph Smith was born December 23, 1805 in Sharon, Vermont. He is written about in more detail in the Scholarly book The Mormon Conspiracy. Joseph Smith, in 1823 at the age of seventeen claims that the angel Moroni appeared. The angel Moroni showed him where the golden plates were hidden. He would not receive them for another four years. In 1826 on March 20th he is brought to trial in the court case People v. Joseph Smith The Glass Looker, charged with being “a disorderly person and an impostor” for money digging and using of a peep stone to find buried treasure. In 1827, he claims that he has the golden plates and by use of Urim and Thummin translated them from a reformed Egyptian language into English for the Book of Mormon. In 1830 he publishes The Book of Mormon and he with other men organized the Mormon Church in Fayette, Seneca County, New York. In 1844 as mayor of Nauvoo, he orders the newspaper The Nauvoo Expositor destroyed since it was printing information considered detrimental to him. In 1844 he and his brother Hyrum are shot and killed in a shootout with a mob (during which he mortally wounded two non-Mormons) while they were being held in jail for charges based upon destroying The Nauvoo Expositor. The self proclaimed prophet claimed that his authority over his flock was granted to him by God and he used this “God Given” authority to demand obedience from his followers. He used the threat of God’s wrath to control them. This fear of God’s and the self proclaimed prophet's wrath caused his followers to endure great suffering and anguish during his short fourteen-year reign as head of the Mormon Church. Because his appetite for authority and glory was so strong he made many blunders that led the “children of Israel” into crisis after crisis. In addition, he used his keen imagination to form extravagant religious inventions many of which he claimed were revelations from God. These inventions were of a religious nature and were the cornerstone of his ability to control his followers. His imagination and ability to conjure up religious inventions were reinforced by his magnetic influence over his friends. The scribe Cowdery, in writing the Book of Mormon described him as having “mysterious power, which even now I fail to fathom.”1. Not only did his imagination allow him to invent fantastic stories, he quickly learned that his “mysterious power and magnetic influence”could control people. He used these attributes to gain and wield power in building his church. 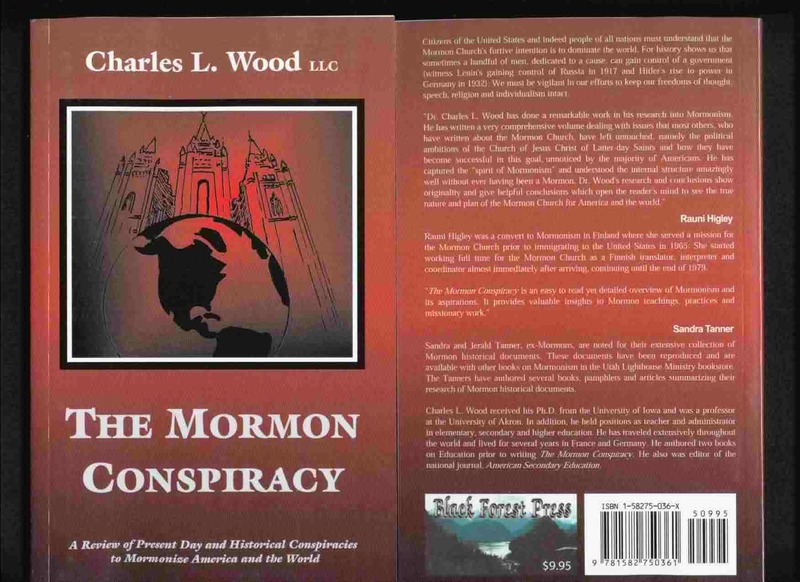 This book was written by Charles L. Wood, Ph.D. Emeritus Professor at the University of Akron.